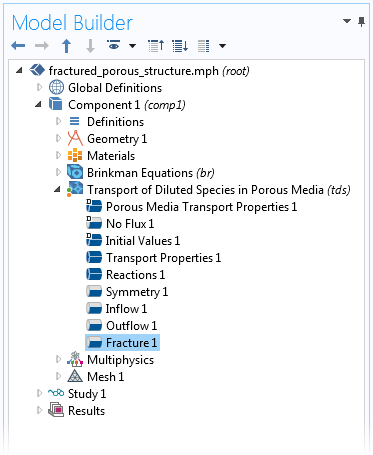 For users of the Corrosion Module, COMSOL Multiphysics® version 5.3 includes a new Current Distribution, Shells interface, a new Current Distribution, Boundary Elements interface, and a new physics interface for modeling chemical species transport in fractures. Learn more about these and more Corrosion Module updates here. A ship is anchored close to an oil platform. The ship hull is subjected to the electric field from the cathodic corrosion system. The figure here shows a ship where parts are of the hull are bare steel, where the hull may work as a bipolar electrode. 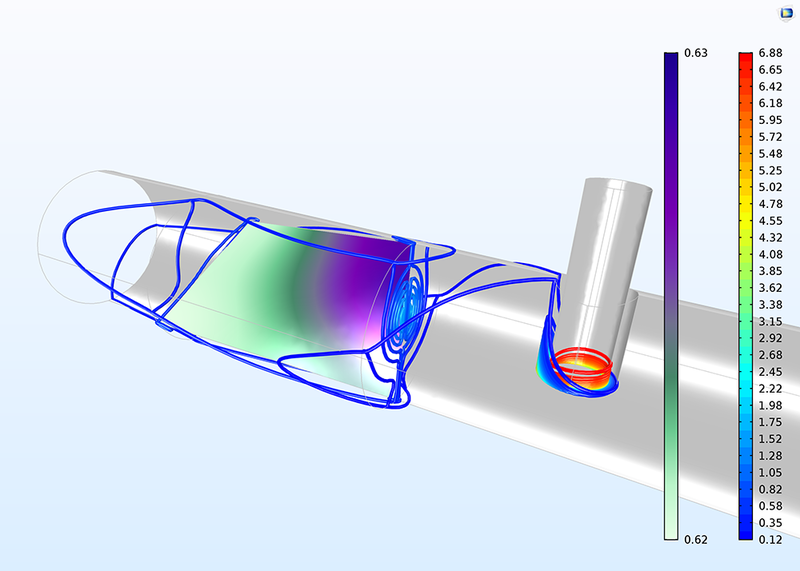 Here, the stem works as an anode while the stern works as a cathode. The oil rig structure close to the ship is cathodically polarized. A fraction of the impressed current goes from the sacrificial anodes (rods) through seawater, into the ship hull, out of the ship hull, through seawater and then into the oil rig structure. A ship is anchored close to an oil platform. 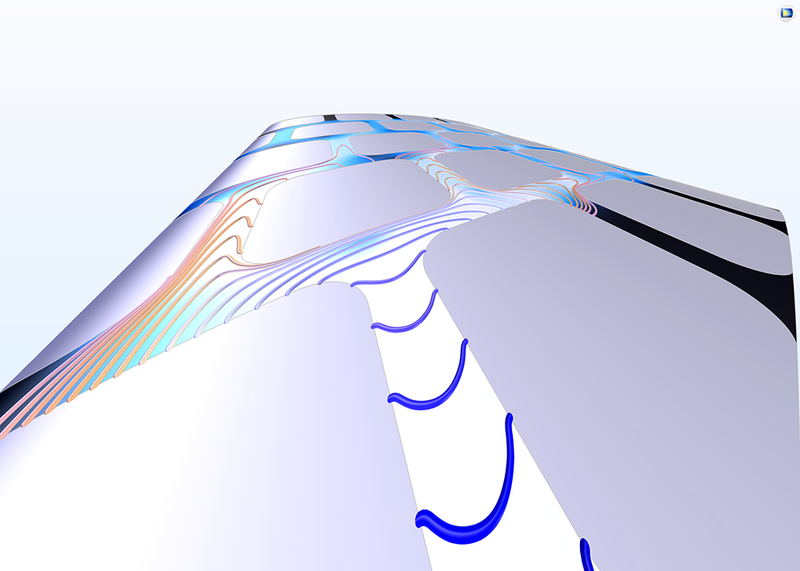 The ship hull is subjected to the electric field from the cathodic corrosion system. 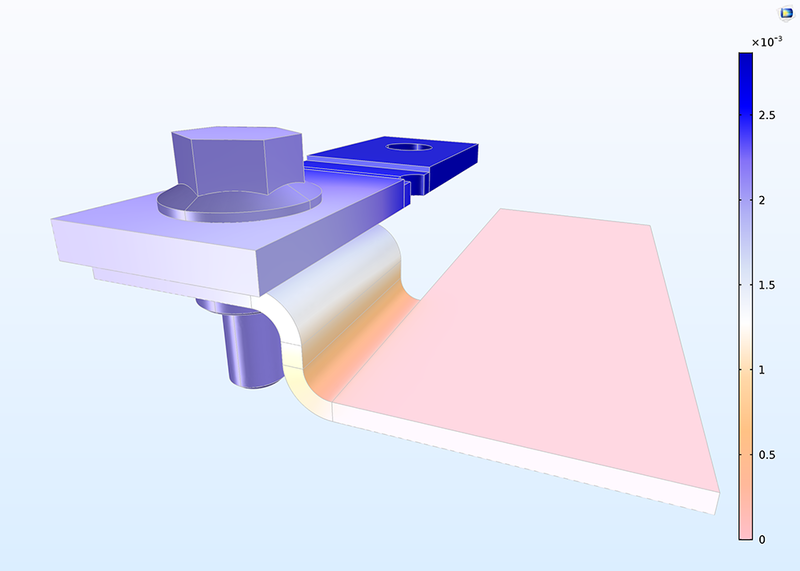 The figure here shows a ship where parts are of the hull are bare steel, where the hull may work as a bipolar electrode. Here, the stem works as an anode while the stern works as a cathode. 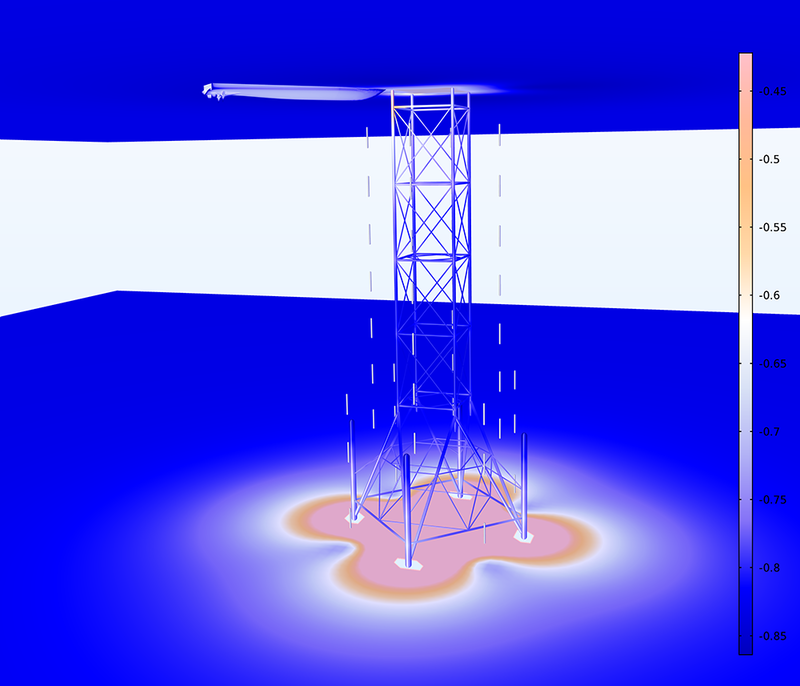 The oil rig structure close to the ship is cathodically polarized. A fraction of the impressed current goes from the sacrificial anodes (rods) through seawater, into the ship hull, out of the ship hull, through seawater and then into the oil rig structure. 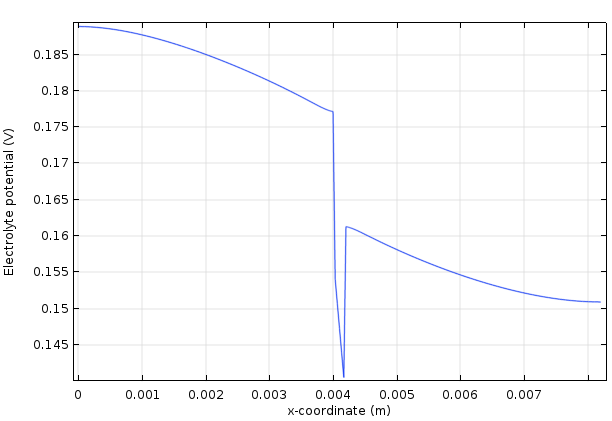 The Current Distribution, Shell interface models ionic current conduction in the tangential direction along a boundary. 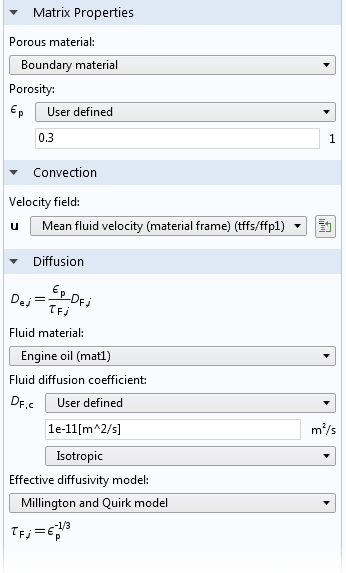 The physics interface is suitable for modeling thin electrolytes where the potential variation in the normal direction is negligible, for instance, in atmospheric corrosion problems. 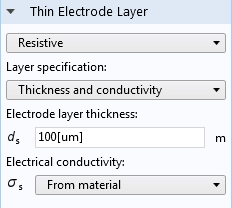 Here, a very thin electrolyte film may form on metal surfaces. 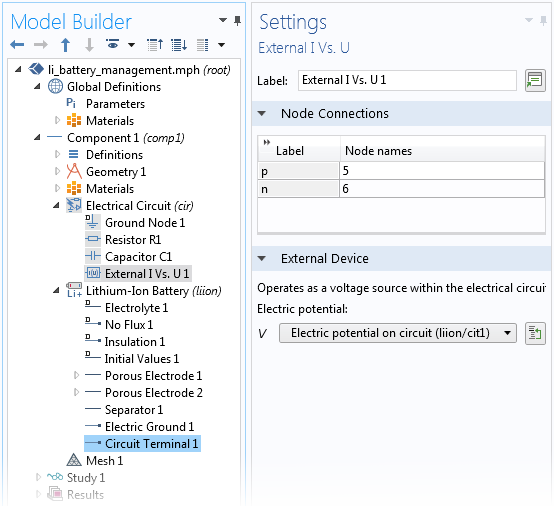 The interface allows you to consider the ionic current without having to mesh this liquid layer in 3D. 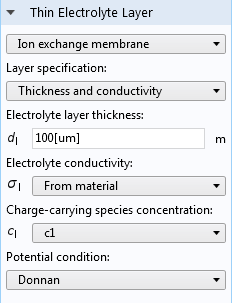 Electrolyte potential in a vananadium redox flow battery showing the potential shifts at the interfaces between the free electrolyte and the ion-exchange membrane.